Not everyone needs the skills and expertise of a nurse. 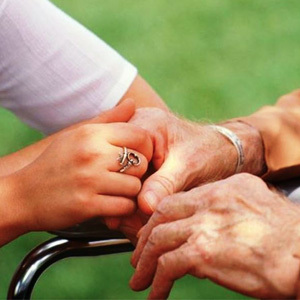 Often, the services of a Certified Nursing Assistant (CNA) will suit your needs and provide a significant cost savings. Whether providing private services in your home or extra attention in an under-staffed facility, having your own caregiver will greatly improve quality of life. Many families choose to hire a CNA to aid in the recovery from an illness, provide constant companionship, or simply be a watchful eye when family can’t be around. Having your own private Certified Nursing Assistant, you can be confident that your loved one is in good hands and is being well cared for. 88% of seniors want to stay in their own home for as long as possible. With the help of a private nursing assistant, you can continue to make that happen safely and comfortably. Nursing Referral Service can connect you with an experienced CNA for just a few hours, around the clock, or even on a live-in basis. Call us today, and let us connect you to an elite home health caregiver in Northern Virginia. We serve Fairfax, McLean, Vienna, Falls Church, Great Falls, Arlington, Alexandria, Annandale, Springfield, Leesburg, Reston, Woodbridge, and all surrounding areas. Call us today at (703) 442-0229 to get started!